Opening theme: "suraidoraido" (スライドライド) by The Run Girls, Run! Ending theme: "Suki no sukiru" (スキノスキル) by Wake Up, Girls! 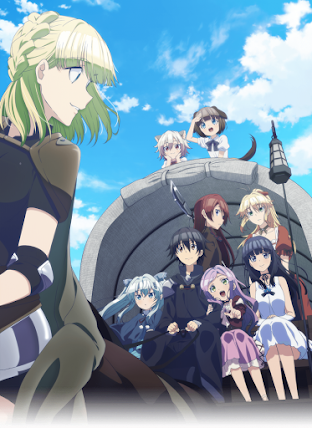 Synopsis: 29-year-old programmer Suzuki Ichirou finds himself transported into a fantasy RPG. Within the game, he's a 15-year-old named Satou. At first he thinks he's dreaming, but his experiences seem very real. Due to a powerful ability he possesses with limited use, he ends up wiping out an army of lizard men and becomes a high leveled adventurer. Satou decides to hide his level, and plans to live peacefully and meet new people. However, developments in the game's story, such as the return of a demon king, may cause a nuisance to Satou's plans. 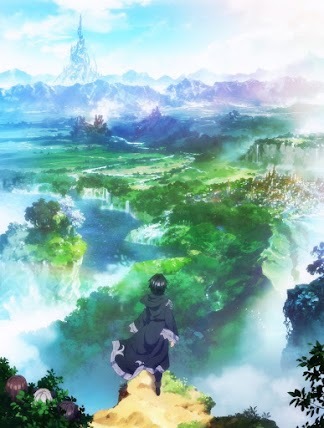 While it's another Isekai series, this kind of feels more or less like when a Isekai series meets something like a SAO incident, or Log Horizon deal here. Although I have to say that as he progresses he has been obtaining skills left and right after being at near god levels here. So with the current episode out we now get the whole there are two ways to enter this world, the first is a reincarnation of sorts, and the second is a transfer. I get this feeling that Satou might of been the latter form with a slight twist here in a way. Also, it might be fore the best that he has a max psychic resistance and told Arisa not to do lewd things to him at night. there are two ways to enter this world, the first is a reincarnation of sorts, and the second is a transfer. I get this feeling that Satou might of been the latter form with a slight twist here in a way. Also, it might be fore the best that he has a max psychic resistance and told Arisa not to do lewd things to him at night. This one is such a strange Isekai. I've been enjoying the Manga adaptation of it, but I just haven't quite been able to bring myself to dig into the WN translations. Satou is somewhat atypical in that he's an adult and has a reasonably adult way of thinking. (Compared to the normal chaste protagonist, he's hit up the brothel at least 3 times as of where the Manga is up to.) It's a very different set up compared to your normal "Isekai protagonist and a bunch of slaves" plotline. The one thing I can't really get a feel for is where the plot is going. To say things are aimless is an understatement. Also, Arisa is annoying and the anime would be better without her. It's a very different set up compared to your normal "Isekai protagonist and a bunch of slaves" plotline. many gals of other harems annoy me more xD at least she's useful, as psychic up to ep.8 but finally there is plot... So Satu didn't need their help inside Zen's cradle, sadly dryad lolis aren't like kii! will homunculus #7 be his last 'slave'? While lolis may not be his type Satou just so happens to be theirs though it seems. Not only that but apparently he managed to add Nana to his party of girls teaveling with him now, du to the other homunculi deciding to fulfill their master's final wish, before rejoining him. Although the best part out of all of that is how the Dryad managed to manhandle him for this portion of the series though which makes me wonder if he'll run into her again at all. While lolis may not be his type Satou just so happens to be theirs though it seems. Not only that but apparently he managed to add Nana to his party of girls teaveling with him now, du to the other homunculi deciding to fulfill their master's final wish, before rejoining him.